Josh and I have just returned from our national conference otherwise known as the Golf Industry Show (GIS). 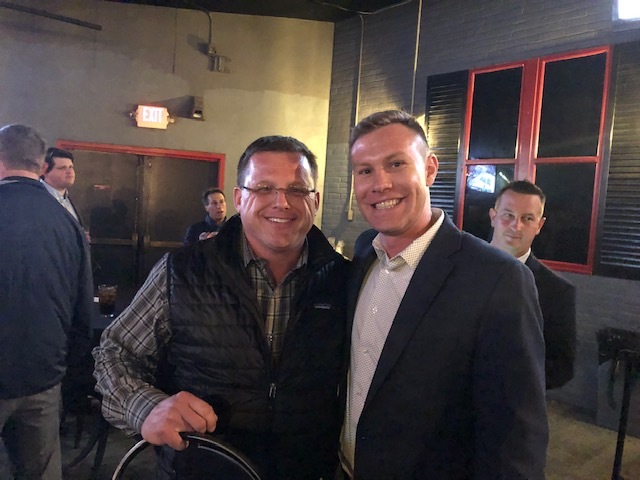 With a golf course renovation on the horizon and our continued goal to improve the efficiency of our operation, we had several objectives that we hoped to accomplish while at the conference while also networking with various industry professionals. Myself with my former assistant John Gruneisen. Over the years, we have used a record keeping program that helped us track equipment repairs, chemical usage, labor, and the overall budget. However, with today's technology, it became clear that our old program was no longer efficient and was time consuming. On the trade show floor we set out to find what we thought would be the best turf management system for our operation. There were many to choose from but it seemed they were always lacking one component or another. Then we came upon Turfkeeper. Turfkeeper is a cloud based system that gives us more efficient control over staff management, task planning, equipment management, inventory control, chemical applications and recording, and budgeting & expense management. This new tool will greatly reduce the amount of paperwork that we currently do and is step forward in efficiency for our operation. Turfkeeper turf management system was developed by golf course superintendents. 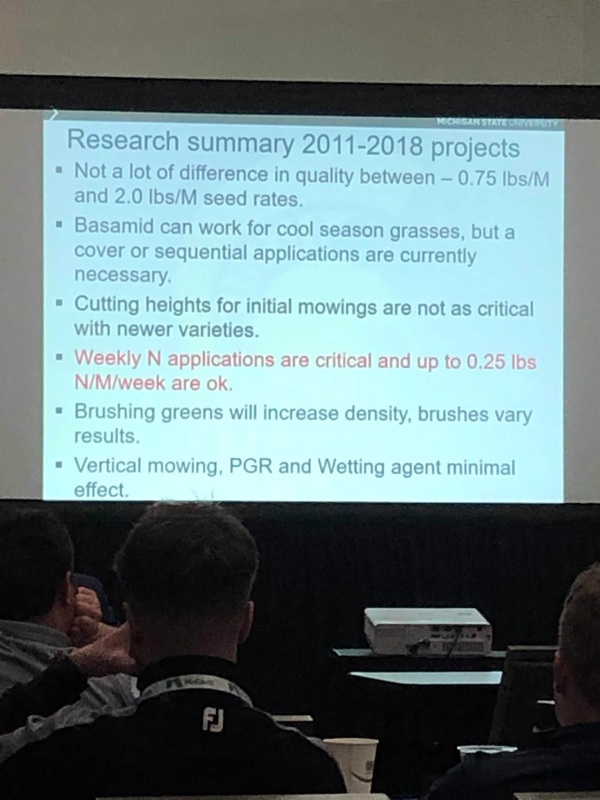 Another objective to attending the GIS was to decide on what type of grass we want on greens and fairways. While it is obvious we want bentgrass, there are many new varieties that are FAR superior to what we currently have. The new varieties use less water, are resistant to diseases, are more aesthetic, and can accommodate faster green speeds. We spoke with seed researchers and took classes on using the newer varieties on course renovations. While we have not decided on a final variety of turf, the discussions and education with other industry professionals has helped us to narrow it down to a few varieties. This is a decision that we will have to make soon so that the sod farm has time to grow what we will need. 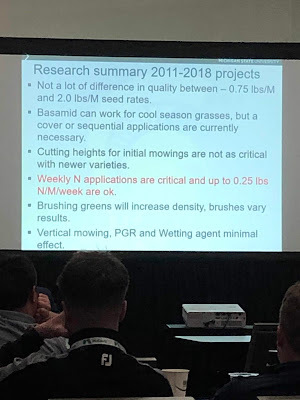 "The Agronomics of Golf Course Renovations"
I personally spent a day touring the Hunter Industries plant in San Marcos. 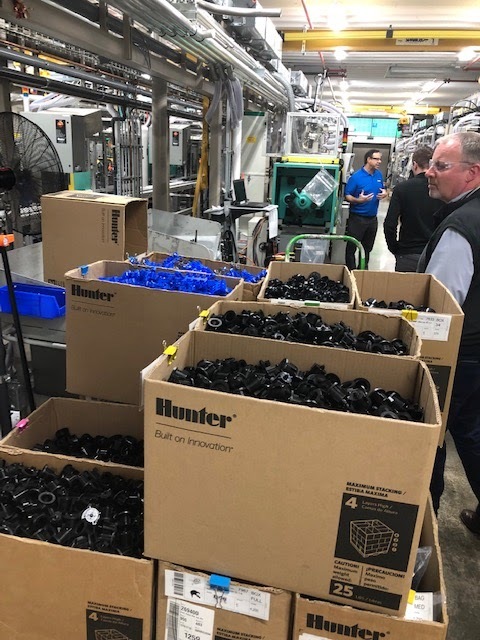 Hunter is the manufacturer of Highlands Falls irrigation system and has been a great supporter of our operation for over 20 years. 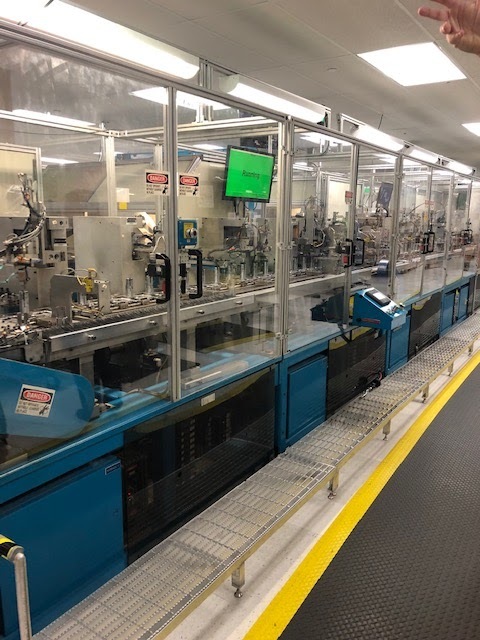 It was an eye opener to see how the sprinkler heads and controllers we use are made. The best part was talking with the factory workers and engineers and see the pride they take with manufacturing their products. This was an opportune time to see the operation as we will be replacing a large number of sprinklers on the course when go through the renovation. Hunter builds over 10 million pgp sprinkler heads per year. Sprinkler head manufacturing is almost totally automated. Lastly, one of the major objectives to attending the GIS is interacting with my peers. The amount of knowledge that I gather from simply “talking turf” with the guys is immeasurable. I would like to thank everyone at HFCC for providing Josh and myself the opportunity to participate in the GIS and for understanding the value in continued education. By attending the trade show and participating in the educational seminars, I have consistently been able to bring back useful information that has benefited the Club both in savings and efficiencies, not to mention the agronomic information that improves the course.